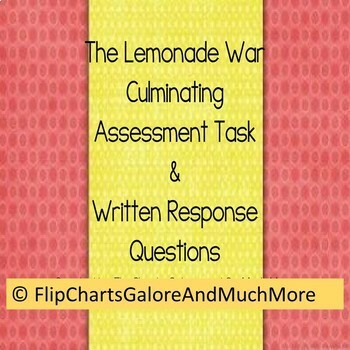 Use this assessment activity / challenge for a fun and engaging problem solving challenge to culminate your novel study of The Lemonade War by Jacqueline Davies. 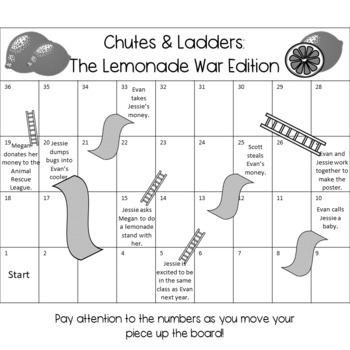 Based upon the popular children's game Chutes and Ladders! You and your students are going to LOVE this activity! 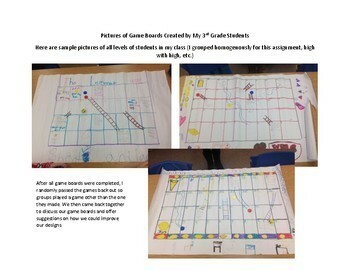 Included is one, no-prep version of the game that is ready to play as soon as you print it and also one blank template if you would like your students to create their own game as an end of unit assessment! Great fun! Your students won't even know they're working!